A typical first century B.C. 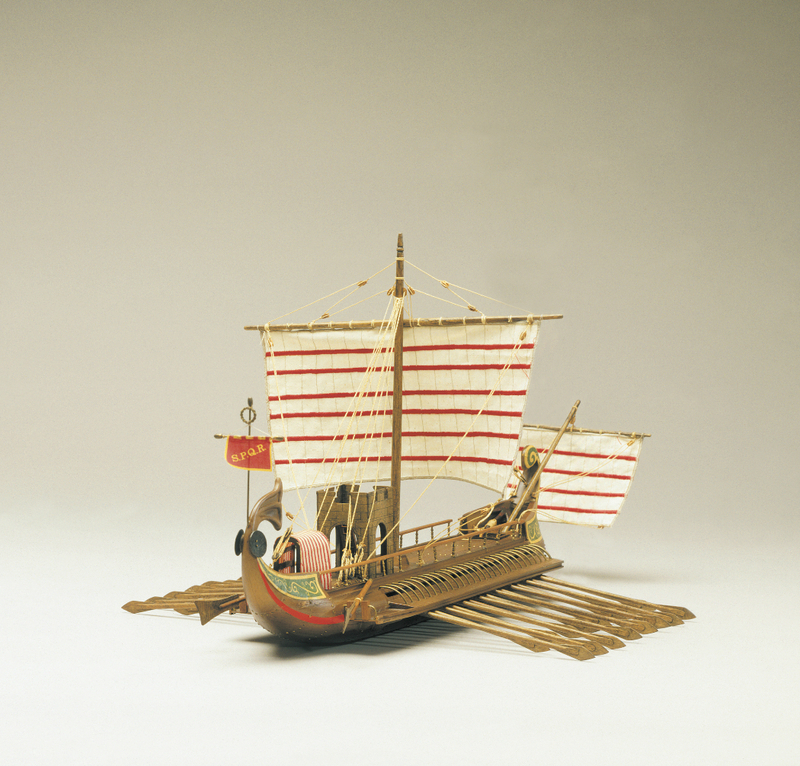 Roman war ship. This Bireme was driven by two rows of oars. Out riggers stabilized the ship and the wales protected the hull from the protruding bows of enemy ships. While fast under oar, this type of vessel capsized easily under too much sail. The kit features the following: A plank on frame hull construction, building plans with general details English instructions, walnut or lime planking, wooden masts and spars, brass and walnut fittings, etched brass details, rigging cord, printed sails, tent and royal standard. All sheet ply sections are laser cut for accuracy.